Some organizations see the move as retaliation against groups that have called attention to human rights violations during violent anti-government protests. MANAGUA — Nicaraguan lawmakers on Thursday blocked five non-governmental organizations (NGOs) that had been critical of President Daniel Ortega from formally operating, after previously blocking five others, including a prominent human rights group. International human rights organizations said the move was retaliation against the groups for highlighting human rights violations committed during eight months of anti-government protests. The protests left at least 322 dead and more than 500 people in jail, according to the Nicaraguan Center for Human Rights, or Cenidh - one of the organizations that was stripped of legal status on Wednesday by Nicaragua's Congress, which is controlled by Ortega's allies. The U.S. State Department said the decision to strip the legal status of the NGOs demonstrated the contempt that Ortega and Vice President Rosario Murillo have for human rights in their country. 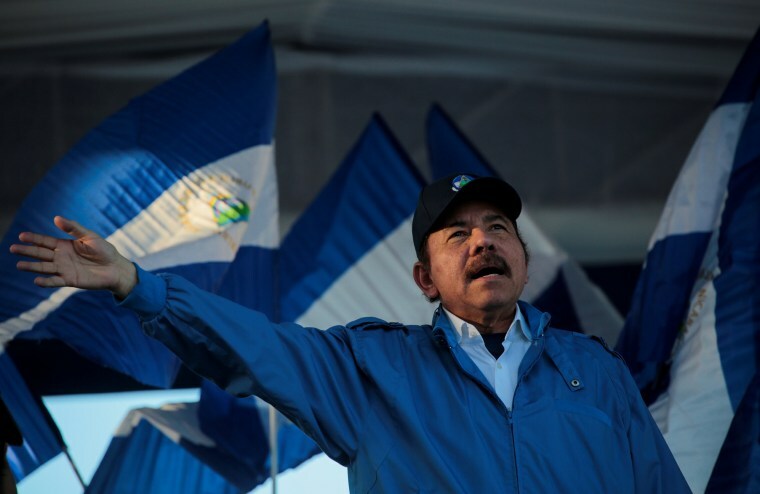 "Their efforts to harass, threaten and repress independent media will not succeed in hiding the systematic oppression of the Nicaraguan people," State Department spokesman Robert Palladino said in a statement, adding that Washington would hold accountable those responsible for the abuses in Nicaragua. Without legal status, organizations cannot keep bank accounts, receive funds or carry out projects. The interior ministry oversees the registry of NGOs and can ask Congress to cancel their legal status. "We are not going away," said Cenidh President Vilma Nunez in a phone interview. "I will use all the energy I have left to defend these offices." Pro-government lawmakers accuse the organizations of receiving money to finance a "coup" seeking to oust Ortega and his wife, who is both vice president and first lady. The government is likely to keep wiping out more organizations, said political analyst Eliseo Nunez. "Their strategy is one of revenge to eliminate any sign of domestic opposition," he said. Jose Miguel Vivanco, executive director of Human Rights Watch, said the ban was a serious attack on civil society. "Anyone who dares to disagree with the Ortega-Murillo regime continues to be repressed," he said on Twitter.